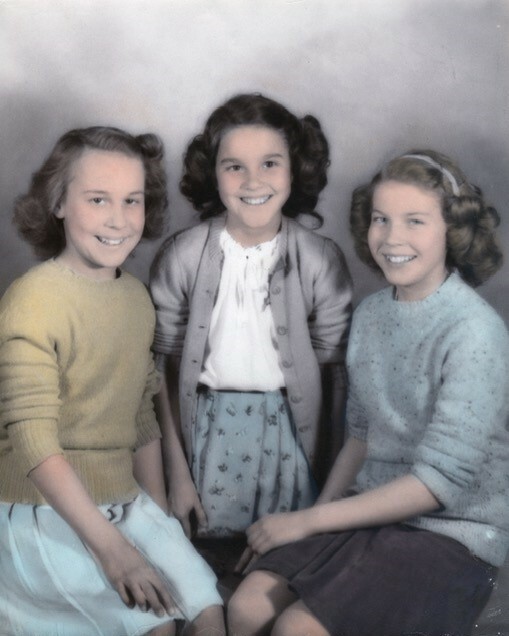 Born in Iowa during the Great Depression on October 3, 1937, Cheryl LaRue Henke Farnsworth McDaniel was the youngest of three girls born to Martin and Loretta Henke. Her oldest sister, Margaret, whom she adored, predeceased her. Her sister, Patricia, resides in San Diego. Hardships quietly endured during the Henke girls' childhood taught them the meaning of sacrifice, prudence, modesty and to lovingly care for each other. In the 1950s Cherie met and married fellow Iowan, Wilbur Farnsworth, who was stationed at Travis Air Force Base, California. They would have four children: Rebbecca, Daniel, John and Bonnie. California had become Cherie's home. She was married a second time in the mid 1960s to James McDaniel. Cherie was blessed to raise the two very young children he brought with him to this marriage, Pamela and Kelly. And in 1969 our beautiful sister, Kimberly, was born to Jim and Cherie. Jim sadly died unexpectedly in 1994 and she never remarried. 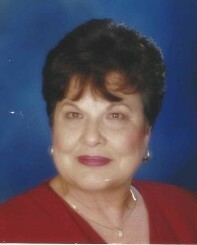 Cherie worked as a realtor for many years. But the most treasured role in her life was mother, grandmother and great-grandmother. She taught us the strength and bond of family, loved us unconditionally, and was always 'present' for us no matter the circumstance. As a child she wanted to 'grow up to be the very best mother and grandmother' she could be. She succeeded beyond measure. Alzheimer's disease slowly stole our mother's memory. But our memories of her grace, kindness, love and compassion remain with us, and with all who knew her. 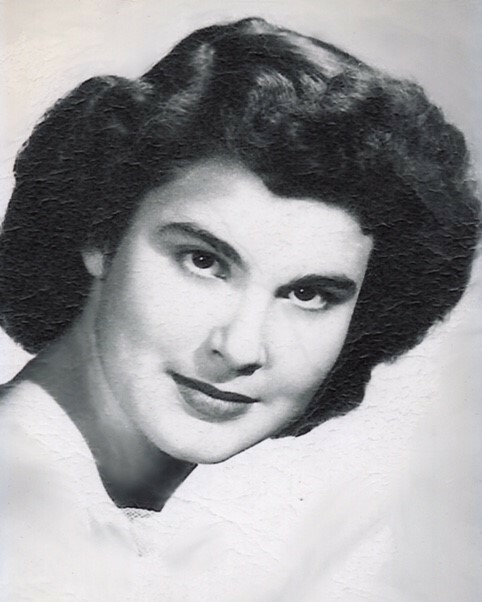 She passed into divine eternal light on January 20, 2019. 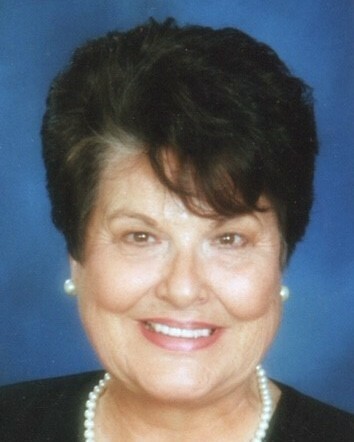 Cherie is survived by her children, Rebbecca Farnsworth Calderwood (Michael), Ventura; Daniel Farnsworth, Florida; John Farnsworth (Diana), Arroyo Grande; Bonnie Farnsworth Kent, Ventura; Pamela McDaniel Stephens, Rancho Cucamonga; Kelly McDaniel (Patty), Washington; Kimberly McDaniel, Goleta; 13 grandchildren and 20 great-grandchildren. We would like to express heartfelt gratitude to Oakhurst Hospice and Brady's assisted living for their loving care of our mother during her final months. A Memorial Service will be held at Chapel of the Islands located at Conejo Mountain Memorial Cemetary and Park on Saturday, April 13, 2019 at 11:00 am. A reception to gather and celebrate her memory will follow at the home of Cherie's granddaughter and husband, Jennifer and Kevin Rose. Please rsvp to mcdanielapril13@gmail.com for reception details. Memorial donations in Cherie's name are welcome to the Alzheimer's Association at ALZ.org or to the Alpha Resource Center alphasb.org which is devoted to assisting individuals with intellectual and developmental disabilities. because the dawn has come."